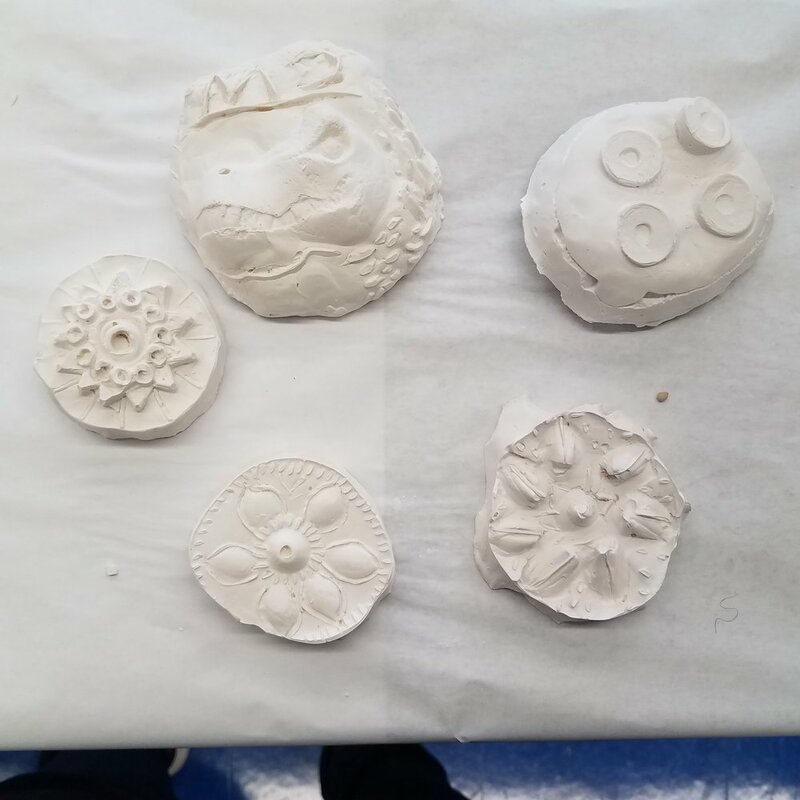 Creative Art Works has provided programs for Students With Disabilities (SWD) at A. Philip Randolph Campus High School since the 2016/17 academic year. Classes accommodate different abilities while offering hands-on projects that keep students engaged. Curricula are designed with student feedback to keep the subject matter relevant and provide students with a sense of ownership. Below are samples from two of the many multi-day lesson plans. Students created faces by combining a variety of found objects and modeling. They then made Plaster of Paris casts of these assemblages, which were then painted with tempera paint. Students created lobby posters for their own imaginary movies using tempera paint on paper. The goal was to create a design that left a section of the poster with minimal details or solid color that would not compete with the text of the poster. This design challenge taught skills such as balancing words with text and the effective use of negative space. The Forensic Art class draws inspiration from popular police procedural shows such as Bones and the CSI franchise. Like these shows, this class is a liberal mix of science and fantasy unified by practical art skills. Projects encouraged “lateral thinking” or solving problems through an indirect and creative approach. 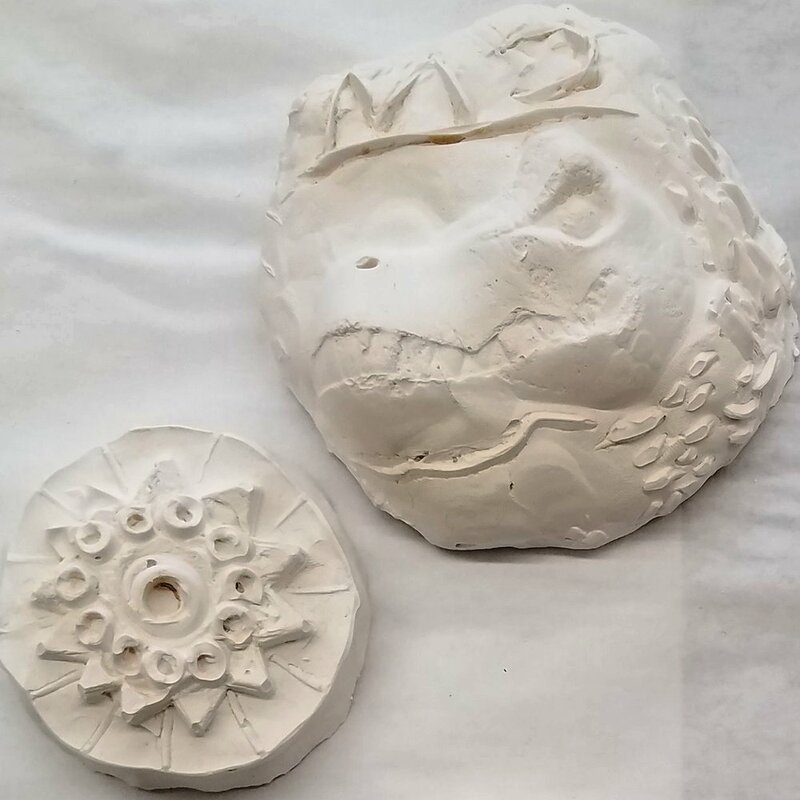 Taking plaster casts is a common forensic technique that crosses many disciplines, from collecting tire tracks in criminal investigations, to reconstructing a dinosaur from footprints in ancient sandstone. Students used this idea to create casts of their own imaginary creatures. The 2016/2017 Forensic Art Program at A. Philip Randolph Campus High School was featured, along with six other programs, in a gallery show and culminating event in the school cafeteria. Read the the event brochure by clicking on the image to the left. The program was also featured in our June 2017 newsletter. Stop-motion animation is a multidisciplinary art form that incorporates writing, sculpture, painting and digital video techniques. Students wrote short scenes, built miniature sets, and designed characters, first on paper and sculpted them in modeling clay. They then used a webcam connected to a stop-motion animation program to make minute adjustments to the figures in order to make them appear to move.